To Zumba, the Pedro way! Fitness sometimes can become mundane without a punch of new energy. Following the same routine day by day and sticking to a plan is not what internationally renowned Zumba presenter Pedro Camacho believes in. 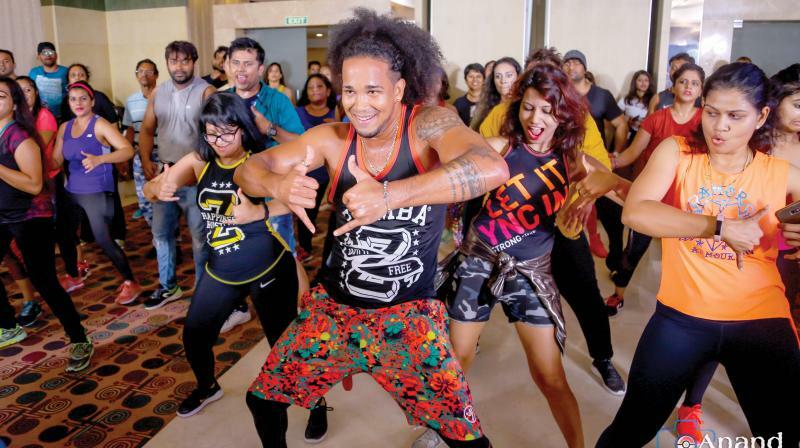 Pedro, whose song Harcelo Lento is played in clubs around the world, was in the city for a masterclass where he proved that fitness can be a huge dose of fun. In a candid chat, we find out more about Camacho, Zumba fitness and what he thought of Bengaluru. Now, the Zumba expert lives in the picturesque town of Ventimiglia in Liguria in Italy. Pedro feels that doing Zumba is not limited to just a certain age group, it is something that will keep one happier and healthier. Pedro loves travelling and exploring new cultures. He has danced on stage with popular artists like Beto, Lil Jon, Mara, Adele, Francesca Maria, Gina Grant, El Cheva and others. So does he like experimenting with other forms as well? “I love dancing, I like to keep learning and trying new dance forms. As long as you are swinging to happy tunes you automatically stay fit,” quips Camacho. On his trip to Bengaluru, Pedro says, “I fell in love with Bengaluru and its people. The city has a very positive and comfortable vibe. The food is very exciting, a lot of variety, and very tasty.” Pedro will be travelling to Chennai next to conduct a masterclass. “I am also looking forward to the Zumba ZIN Convention this year as I have my exclusive session there,” he concludes.